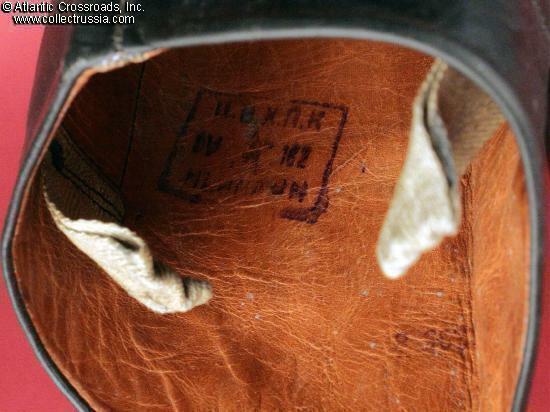 High quality unissued officer boots in black leather, with quality control stamps dated 1927-1928. 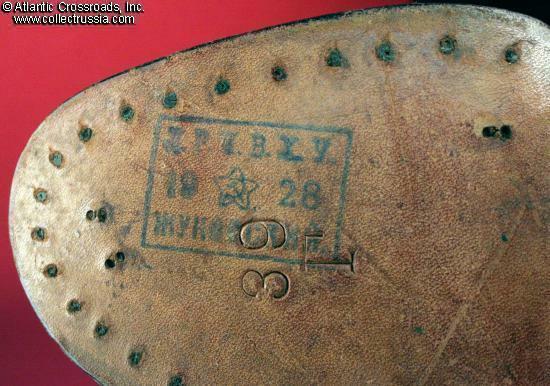 Soles clearly marked 39 G which would be about a US 6 ½. Scoop cut uppers, similar to traditional style of cavalry officer boots. 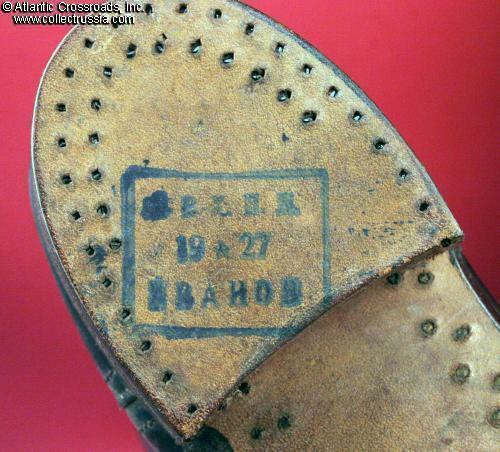 Three different quality control stamps are in evidence: one on the heels (dated 1927), one on the soles (dated 1928), and one inside the uppers. Excellent, unworn condition. Slight foxing in a few places on the leather's surface that would disappear with the application of a good leather preparation or even a simple high gloss black wax polish. While we believe that these boots were definitely made before WW 2, we do not know if the stampings reflect the actual date of the boots' manufacture. 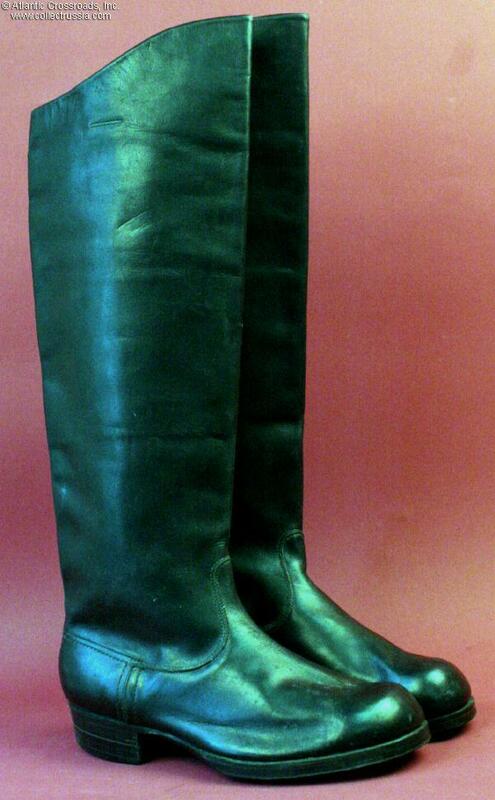 We do know that this is an exceedingly high quality pair of boots that would look completely correct displayed with almost any WW 2 or earlier officer's uniform.